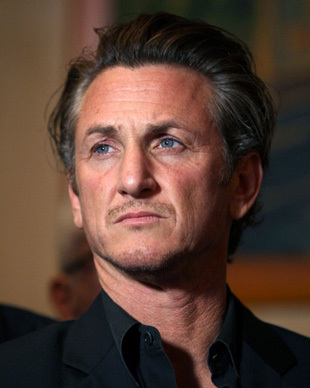 Not that it would be a concern to anyone, but Sean Penn is not a showy and conceited exhibitionist that some of the well known actors have a tendency toward, which their fans sometimes even fancy and certainly mimic. Instead, he is a cool, down to Earth guy who makes it a point to go unnoticed in public if he only can! Penn is known in Hollywood as an intense film actor capable of unforgettably moving performances and who has drawn much media attention for his stormy private life, political viewpoints and a certain non-conformist approach. Despite his obvious celebrity “vibe,” intensive energy and unique chain-smoking habit, or as expressed in the media: his addiction to nicotine, I would call it a non-conformist approach to life, he is humble and caring. Someone you would call a true humanitarian! Penn manages to go incognito driving a beat up car that looks more like a movie prop and pulls absolutely no attention at all, but only because there is seemingly no one who makes it a point to look at their fellow drivers on the PCH! Yet, Sean Penn got too much of a presence for any lively soul to miss him despite the old car, the baseball heat and the sunglasses. His driving style gives out the same intense energy that he himself projects. “I’ve been a road-rat since I got my driver’s license at 16, so I’ve probably gone across America 20 times,” he says. I was one of those people who did not mean to notice him, but could not help it! 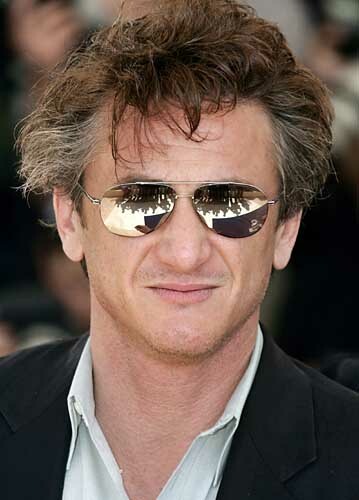 Sean Penn is a work of art! He does not need to say a word, or do anything much, his presence is enough! Of course, he also has an enviable record in making films. As an actor he first appeared in Taps in 1981, and then as the too cool for school surfer dude Jeff Spicoli in Fast Times at Ridgemont High in 1982. It was a performance that became part of the culture, and propelled him to stardom. Which is not necessarily what he wanted. For Penn, craft has always been the motivator. “I became an actor because of Robert De Niro,” he says. The 1990s was a decade in which Sean received a lot of critical acclaim as a mature, versatile and accomplished actor, with a string of dynamic performances in first-rate films. With frizzy hair and thin rimmed glasses, make up and wardrobe making him look like an authentic Jewish New York attorney, Penn delivered a brilliant performance as a corrupt lawyer in Brian De Palma’s Carlito’s Way opposite Al Pacino, which was followed by a Death Row inmate pleading with a caring nun to save his life in Dead Man Walking in 1995, resulting in his first Oscar nomination. Penn then continued to an exceptional career path with perfect choices of characters. I still have the script of Dead Man Walking signed by him, Susanne Sarandon and the director. Someone somehow made a mistake and when I lived at the Chateau Marmont, the script was on my desk in the room one day. I do not know to this day what happened. 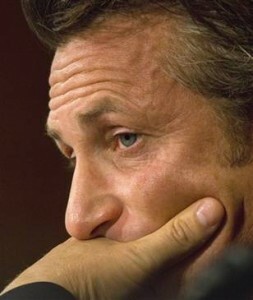 Sean followed that performance with a role as Michael Douglas’ brother in The Game (1997) and a key role in the star-studded anti-war film The Thin Red Line in 1998. More recently Penn received his third Oscar nomination for I Am Sam (2001) and won an Oscar as an anguished father seeking revenge for his daughter’s murder in the gut-wrenching Clint Eastwood-directed Mystic River. He received accolades and a second Academy Award for his role in Milk in 2008,the story of Harvey Milk, and his struggles as an American gay activist who fought for gay rights and became California’s first openly gay elected official. Penn has never been one to shrink from challenging roles, and he has been recognized by his peers as one of the greatest actors of his generation. As we got into a great car chase for a good half an hour on the PCH we came close to saying hello to one another. But, that might have required a collision. I have been pulled over a few times for speeding, and I know he had a run-in with the law at some point for reckless driving, but this time I thought if I get yet another ticket it will be worth it. I enjoyed the chase , the incognito, the ‘reckless” driving style of very impatient people who really do not have the time to stick to the speed limits, or stop at every stop sign. He made that half an hour a lot of fun for me. Wanting to be mostly invisible in public is fully justified: it is an international epidemic that celebs get torn apart wherever they go. And, even worse, one word taken out of context, or one bad photo, and the tabloid creates a spiraling untrue story only so that these less than ethical publications can sell their papers. And, obviously on the part of the celebrity paying no attention to all that nonsense is easier than fighting it, as these hard working stars hardly have the time for a decent enough private life let alone fighting with the tabloid. Is this media frenzy around celebs pathetic? No, I think it is worse than that, I think it is desperate sensationalism that has become a cultural habit! Why is it of any news channel’s business to know who does what outside their jobs, celebrity or not? God forgive me, but I never understood how any channel could make it their business to report on anyone’s private life! Why is that okay? Excuse my ignorance but is there any reason besides profits to do all this? And, is this ethical? Anyone going against these principles I believe is just wrong and I will say that no matter if the “Keeping Them Honest” news channel, or the “Keeping Up With the Kardashians” reality show have a different point of view on all this because instead of the bull they just should come up with a matching content to their titles and really keeping them “honest” (for the first time since man walked the Earth) and for those who got nothing better to do than keeping up with the Kardashians. I’ve got five diplomas and I still do not get the meaning of all this. Or, maybe I just cannot keep up? 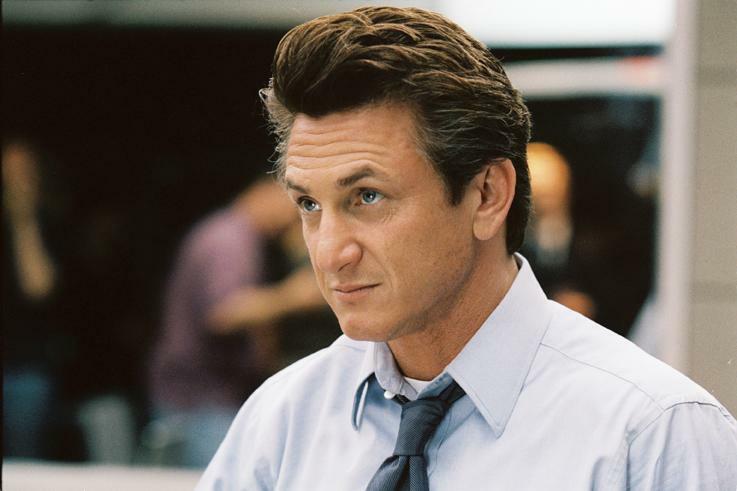 What captivates me about Sean Penn is that he is one of those really talented megastars, who also really cares, but without the show, and rather just through real work. Let’s not make philosophies about what the World needs, but instead put the bandages where they are needed, and this time let’s go even further: let’s actually work on getting these people real help and not just bandages! He does care for Haiti and other charities with complete sincerity, rolling up his sleeves, getting hand on with the locals and pleading for help on the silver screen instead of throwing a red carpet “patronage” for one charity or another serving mostly star publicity, which cost a fortune all by itself rather than much anything else. There are of course serious charities endorsed by celebrities but they tend to really walk the walk instead of talking the talk. Thankfully Sean Peen is on my side, or so I think. I bet, he would not want to have a fun-based, foregone conclusion type of red carpet dinner about Haiti, or a scripted reality show, but rather gets on with actual down and dirty work. Putting his full passion into the relief effort, Sean founded the J/P HRO Haitian Relief Organization in the wake of the January earthquake and has spent months helping to rebuild the Caribbean nation. As a result of his honest determination and effort, Sean Penn’s charity efforts in Haiti are now receiving substantial aid, including a donation by former U.S. President Bill Clinton of $500,000 to the actor’s cause. The Clinton Foundation‘s donation will go towards a camp in Petionville, which is run by the Penn’s organization. Even though the efforts in Haiti will have to continue for many years, Penn appreciates all the aid and support that has come his way. “The support of President Clinton and the Clinton Foundation is an extraordinary boost in our organization’s ability to continue its work in Haiti,” he says. When it comes to creative talent in Hollywood, there are actors and actor’s actors, and then there are those people who do it all, whose talent and passion transcend simple categorization, who become a representative spokesperson for their industry and even their country. Sean Penn is one of the few people in Hollywood who fits that category. Not only does he have an enviable record as an actor and director, he has recently earned the respect of fans outside the entertainment community, like Bill Clinton, through his efforts to help relieve the misery and human suffering. Not a bad cause to chose as one of many true meanings of one’s life! About the Author of This Article: Adrienne Papp is a recognized journalist who has written for many publications including Savoir, Beverly Hills 90210, Malibu Beach, Santa Monica Sun, The Beverly Hills Times, Brentwood News, Bel-Air View, Celebrity Society, Celeb Staff, It Magazine, Chic Today, LA2DAY, West Side Today among many others. She is the President and CEO of Los Angeles / New York-based publicity company, Atlantic Publicity and publishing house, Atlantic Publisher. Adrienne writes about world trends, Quantum Physics, entertainment and interviews celebrities, world leaders, inventors, philanthropists and entrepreneurs. She also owns Atlantic United Films that produces and finances true stories made for theatrical release or the silver screen. Spotlight News Magazine is owned by Atlantic United, Incwith Adrienne Pappbeing the majority shareholder.